Are you looking for a progressive Albany Real Estate agent for your property? Jess Adams @realty is a modern Real Estate Agency with a paramount focus on serving sellers in Albany. We are a mother-son duo bringing in the best amalgam of experience, cutting-edge technology and Albany Real Estate knowledge. This means you not only get the know-how of a highly experienced agent but also get your property in front of the eyes of your property’s ideal buyers by a tech-savvy agent who has a deep understanding of modern and proactive marketing techniques. We work in association with a large national company, @realty – Australia’s most advanced Real Estate Service Providers who recently won the Innovation of the Year award for their cutting-edge technology and marketing innovation methods. This association essentially means continued training to stay up to date with what’s happening in the ever-changing Real Estate Albany market. All 500+ @realty agents and their clients benefit from bulk buying strategies to keep our overheads down. We also conjunct and share our national database of buyers and sellers – which is very valuable to all of us. They also provide us with marketing experts, conveyancers and lawyers, financing for our clients and progressive digital experts on call to assist us in providing the most comprehensive and innovative service for Albany Real Estate. Why Jess Adams for Albany Real Estate? At Jess Adams @realty our mission is to provide exceptional, quality service for Real Estate Albany – at a fair price for our sellers. Because we focus mainly on proactive digital marketing and multiple websites (over 100 nationally and internationally), we have no need of a formal office and the extra expenses associated with that – which means we can afford to keep our pencils sharp for the benefit of our Albany Real Estate Sellers. Clients contact us on our mobile phones and we arrange to meet them at their convenience. We work very closely with our Real Estate Albany sellers to proactively market the property to the right buyers. This translates in hitting our target market more effectively which could achieve a quicker sales – often at a higher selling price. Most of our sellers become our biggest source of new business through word of mouth. To find out what some of our clients have to say about their personal experiences with us, please click here. Today’s buyer is much more likely to be found online than in the newspaper, radio, television or shop window. 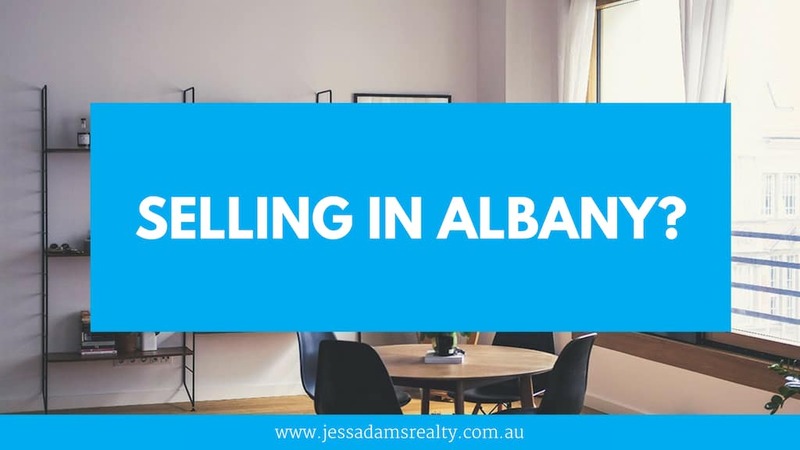 Statistics show that 97% of serious buyers go online to find their next home or see how the market is performing in their area, so this is where we focus all our efforts – your Real Estate Albany property needs to be SEEN to be SOLD. Our young, tech-savvy real estate professional, Michael Adams understands the world of modern social and digital marketing and being an Independent Real Estate Albany Agency we are able to make our marketing as creative as we can to proactively catch the right kind of buyers’ attention for each individual property. The journey to selling your home starts with a 15-minute, obligation-free consultation, so now contact us now via. phone or the form below to find out how we can work together to ensure your property gets sold for the highest possible price, as quickly as possible. We also focus on Denmark Real Estate and sell Mount Barker Real Estate. We look forward to helping you on your new journey.